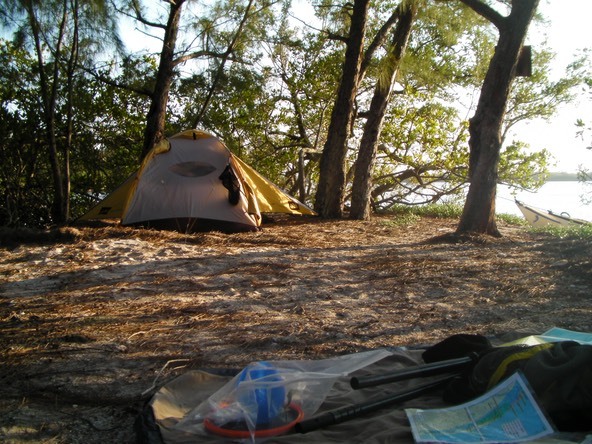 I visit the spoil islands in the Indian River Lagoon regularly and have camped on them as well. 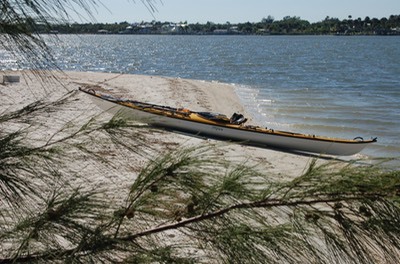 (See my trip report ("Paddling the Florida Saltwater Circumnavigation Trail: Segment 21") The spoil islands are a unique gem in that some 71 of them are open for public use on a first come first served basis. Most are well taken care of by users and island keepers, volunteers who monitor and maintain the islands. This video is not my own. It is done by a Florida tourist advocacy group. It shows two men, a father and his adult son arriving in their power boat to set up camp before setting out to fish. 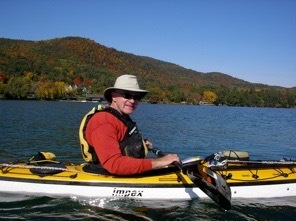 It's not sea kayaking, but you'll get the idea. And by the way, the Indian River offers some terrific fishing!